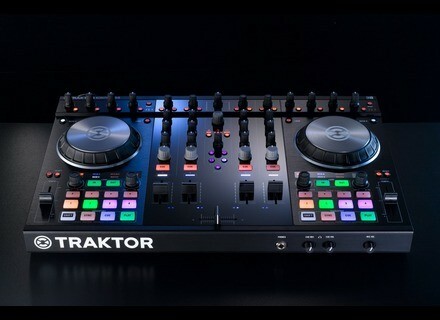 Traktor Kontrol S4 mk2, MIDI Control Surface for DJ from Native Instruments in the Traktor series. 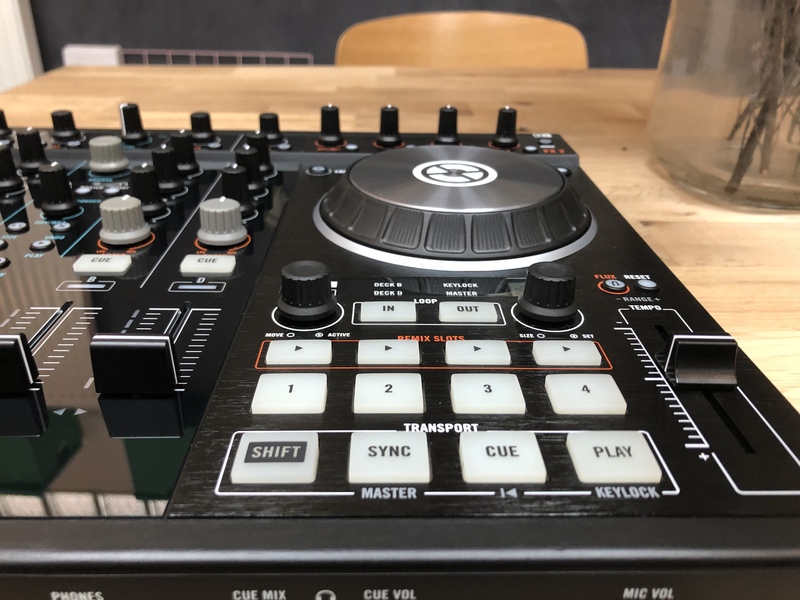 aureliensmart's review (This content has been automatically translated from French)" Traktor Kontrol S4 Review MKII"
Introducing the next generation of the official controller for Traktor. 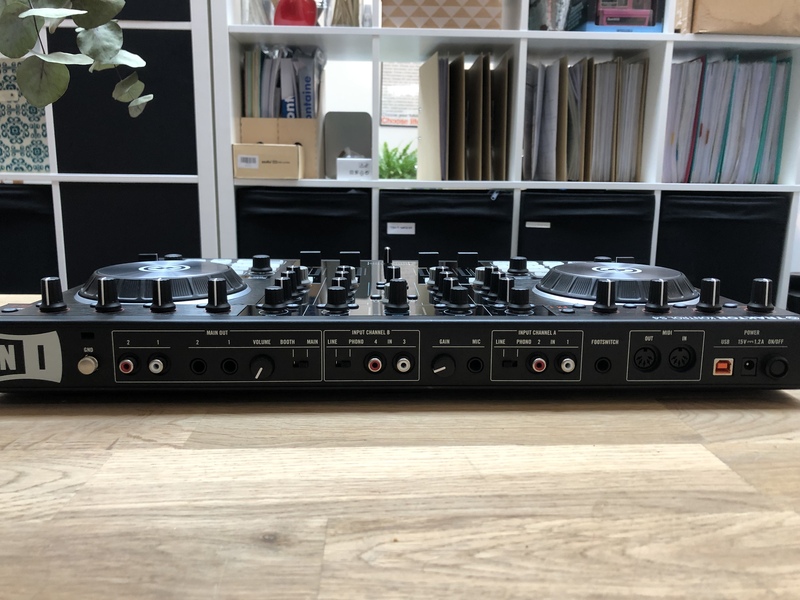 Improvements in this version MKII are discrete, but to be mistaken, it is indeed an important development that follows the line of the latest features added to its NI Traktor recent months. The new S4 features improved ergonomics with, among others, the appearance of color pads providing a better visual identification in the dark (cue point, loop ...) a real plus when you live productions. At first glance, the layout of the controller is identical to the version previously. However, and to strengthen the "pro" the Image S4, NI has made discrete improvements. 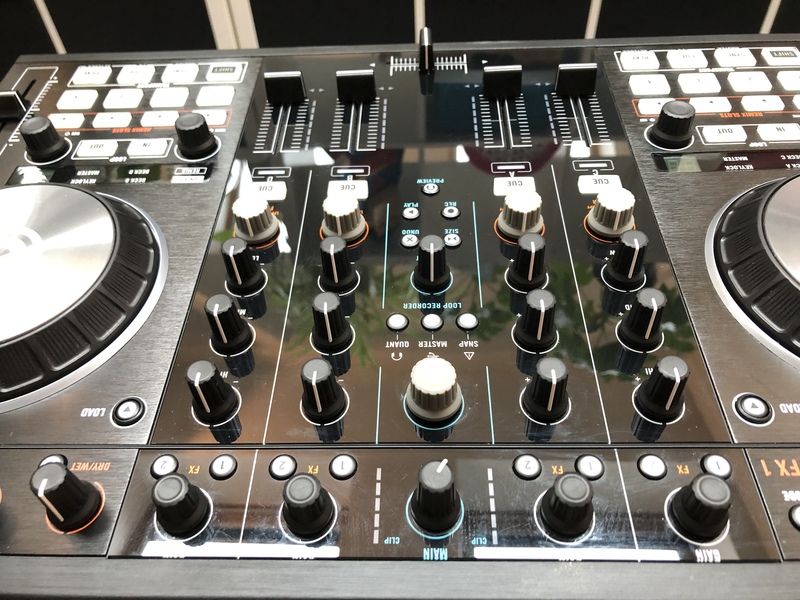 The artwork was imperceptibly redesigned jog the perimeter was treated with a brushed aluminum effect giving a look "classier" to the machine, and finally the appearance of rotary knobs gray color filters allows to better distinguish the different controls EQ / filter at the mixer section. 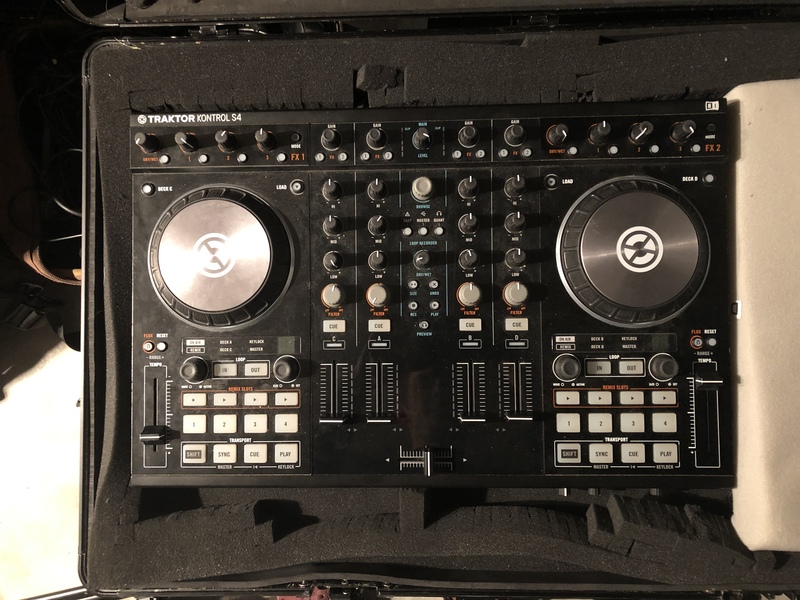 The "flush mode" function appeared last spring in Traktor is not left since NI has equipped its new S4 a button for this purpose, located at the right and left ends of the S4, just above curves pitches linear. In addition, there is a button to "reset pitch" (function handy admittedly), detail that was lacking in the previous model. In both of those buttons replace the two buttons offsets settings (+ / -) that were present on the S4 first generation function that is now obsolete. In flush mode enabled, the 4 pads remix slots allow you to play the current track with a lag time of -4 and -2 (for the first two pads left) or 2 and 4 time (for the last two pads right) This opens up new creative and collateral effects in your mix horizons, all live! Hardware side, manufacturing is still neat ... we used NI. Very good product that NI offers here. A controller of a professional who focuses on perfect ergonomics between hard and soft. 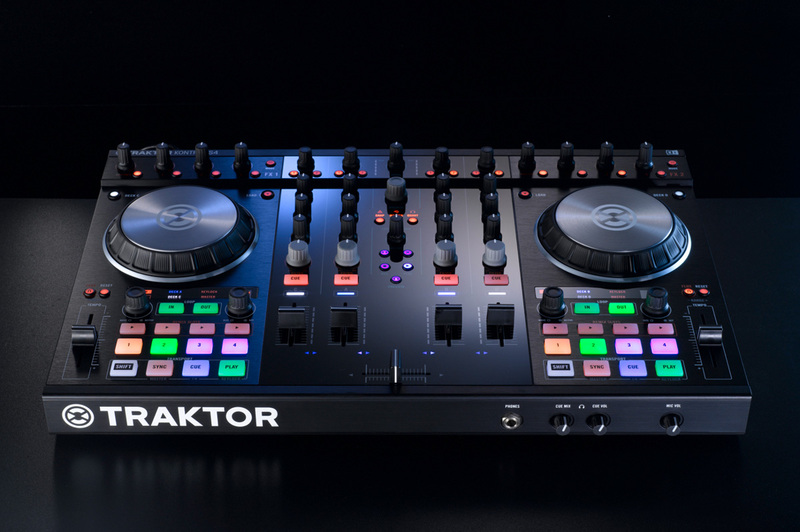 Native Instruments lowers the price of its Traktor Kontrol S2 and S4 DJ control surfaces in April.